Daimler Trucks North America is fleet-testing a Freightliner eCascadia and a Freightliner eM2 106. Daimler recently bundled all of its electric-vehicle activities under a new E-Mobility Group. While electric trucks are hardly new — battery-powered vehicles were among the very first powertrains used in the automotive age, and never truly went away — they have undergone a stunning transformation over the past decade. And it seems likely that very soon, they will step back into the spotlight and begin to make their case as a viable option for many 21st century fleets. That said, we might as well get some obvious points out of the way right now: Electric trucks do not have the range capability that gasoline, diesel, or even natural gas trucks do. And they cannot currently be charged nearly as quickly as a diesel or gasoline truck can be filled up. There is nothing approaching a national charging infrastructure available to guarantee recharging a vehicle away from its home base. Battery systems are heavy and do, in fact, take up a lot of room on a truck chassis. But electric trucks are not diesel trucks. They are a different type of vehicle that will require new ways of operation and maintenance. There will be a learning curve for first adopters that will doubtless include some hard, painful lessons. And fleets that attempt to force electric trucks to work like diesel trucks will likely fail where others succeed. 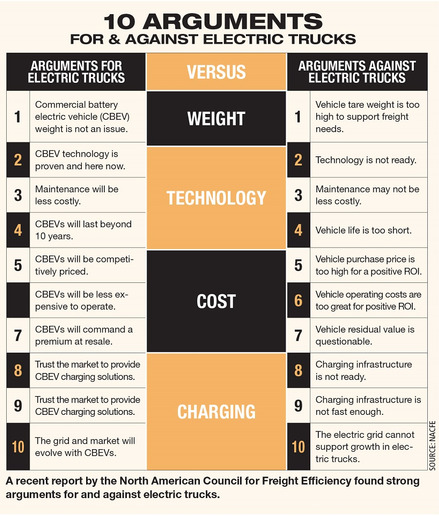 But electric truck proponents say that very soon, electric trucks will prove their mettle in real-world fleet operations and return total cost of ownership numbers that will make them a slam-dunk option for progressive fleets in select operating environments. 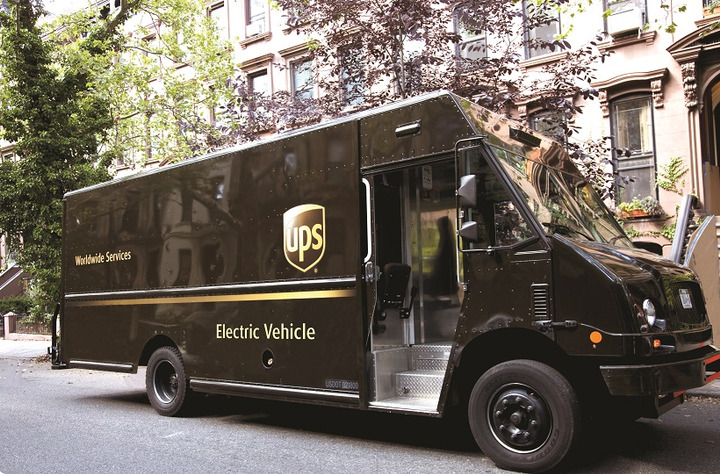 UPS is working with Unique Electric Solutions LLC on new technology to convert UPS package delivery vehicles from diesel to electric. The first thing that has to be understood about the emergence of electric trucks is how they figure into the next round of the federal government’s heavy-duty fuel economy standards, which will become law in 2025. As with most federal regulations, the new standards will be multi-faceted and complex. But there is one aspect of them that figures greatly when it comes to electric trucks: Truck makers will be “graded,” for lack of a better term, on the overall fuel efficiency of their entire portfolio of vehicles for sale. They will have to hit an overall fuel efficiency rating for those combined vehicles to avoid being hit with penalties for noncompliance with the new standards. There are also state and local regulations in play (although Trump administration efforts to roll back California’s emissions-regulation exemption could affect that; see page 10). The New York City Sanitation Department, with the support of Commissioner Garcia and Mack Trucks, will begin evaluating electric refuse trucks on routes throughout the Big Apple next year. DSNY Deputy Commissioner Rocky DiRico says the pressure is on his agency to come up with clean vehicle solutions for refuse collection. With electric refuse trucks, however, DSNY can take the next steps on evaluating the facilities to accommodate electrification infrastructure vs. the costs/space involved to convert them to natural gas. Truck makers are feeling the pressure as well. Darren Gosbee is vice president, powertrain and advanced engineering, for Navistar, and he says that while electric vehicle technology is far from new, it is improving rapidly at a time when attitudes and conditions from all concerned players in trucking — government, fleets, OEMs, suppliers and shippers — are aligning. A recent report by the North American Council for Freight Efficiency found strong arguments for and against electric trucks. Another key driver is the attitude of shippers and consumers, who are increasingly open to the idea of electric vehicles in their professional and personal lives. 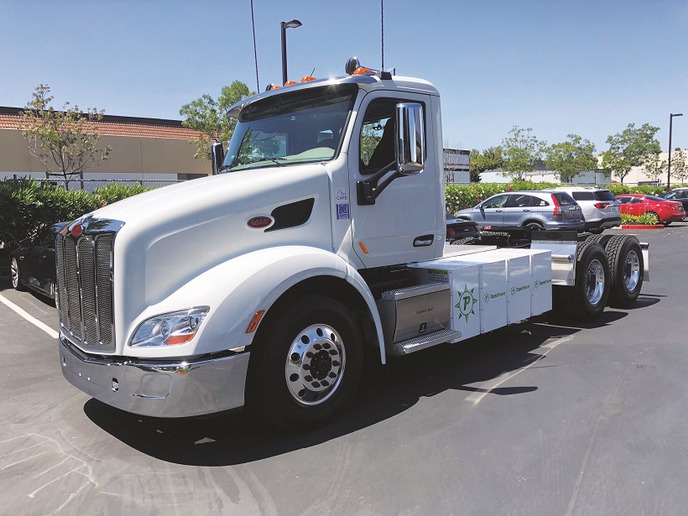 John Gerra, director of business development for electric truck maker BYD Motors, spoke to HDT while riding in one of his company’s tandem tractors hauling a load of trash to a local landfill. He says there is real enthusiasm to see electric trucks begin working in communities all over the country, because the benefits for those populations are immediate and obvious. Gerra says BYD trucks will begin working on daily refuse routes in Seattle next year. But he rejects the notion that electric trucks are simply a “coastal elite” trend that may someday worm its way into the interior of North America. “At BYD, we’re seeing a lot of interest in electric trucks nationwide,” he says. One big reason Gerra cites are the significant amounts of money available in many states thanks to the big payout Volkswagen had to make when it was found to have put “defeat” devices on its diesel-powered automobiles in 2015. Helping along the TCO question is the fact that the cost of batteries and other specialized components for electric trucks is falling rapidly, says Thomas Healy, founder and CEO of Hyliion, a startup focused on hybrid electric technology for trucks. He says highly specialized automotive battery systems with fast charge/discharge rates have traditionally been prohibitively expense for both vehicle makers and potential customers. 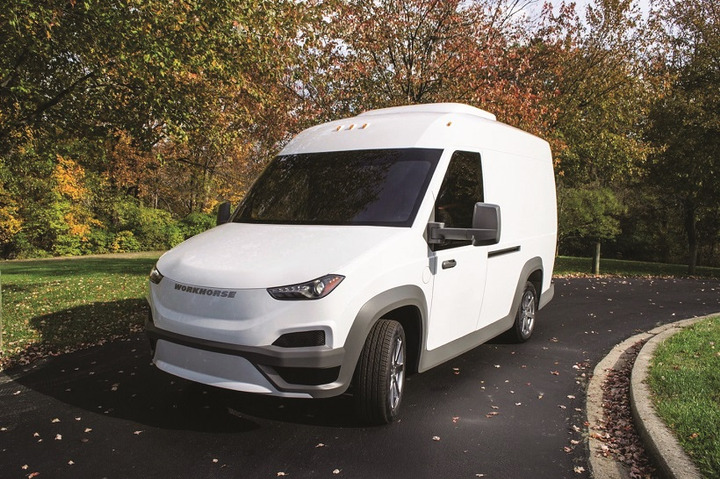 Workhorse says its new N-Gen electric van has demonstrated fuel efficiency, as expressed in miles per gallon equivalent (MPGe), that averages 40 MPGe for its 450-cubic-foot electric van, and 75 MPGe for its 200-cubic-foot electric van. Battery electric trucks are reaping most of the headlines today, but it’s important to note that electrification is set to come into trucking in a variety of ways over the next few years. Range limitations — and range anxiety — remain common talking points from opponents to electrification in trucking. If you’re used to thousand-mile runs in diesel trucks, electric truck range numbers tend to be underwhelming. And as yet, projected range numbers for battery electric trucks are all over the map, if you’ll pardon the pun. Last fall, when Tesla Motors introduced its Semi electric truck, company founder and CEO Elon Musk boldly proclaimed that the Semi would have a 500-mile daily range — with a hour “top off” charge delivered via a high-capacity Tesla charging station. Nikola One has claimed that hydrogen fuel cells on its trucks will be able to replenish battery charges while on the highway, giving the truck a range of 1,200 miles. Over the past year, however, it seems that several truck makers have been tamping down range expectations for the first generation of battery-electric vehicles. 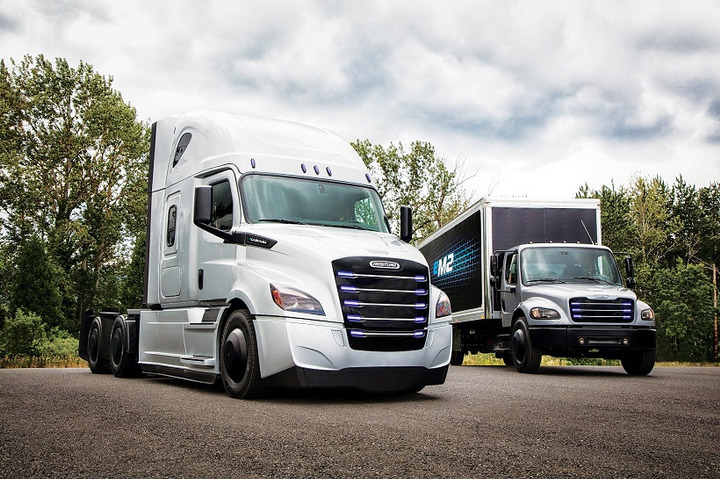 Daimler Trucks North America recently unveiled an electric-powered eCascadia and an eM2 that are going through real-world tests at fleet partners this fall. The eCascadia focus is on port drayage and local and regional distribution, with a range of up to 250 miles, with the ability to charge up to 80% (providing another 200 miles) in about 90 minutes. The eM2 is designed for local distribution, pickup and delivery, food and beverage delivery, and last-mile logistics applications, with a range of up to 230 miles, and the ability to charge up to 80% (providing another 184 miles) in about 60 minutes. And Daimler’s Fuso eCanter is already available, a Class 4 truck with a 100-mile range, which can be quick-charged within an hour at a DC charging station or over eight hours using a 230-volt outlet. Additionally, Skinner says, electric trucks will require both fleets and drivers to adjust operational procedures and how they work, with the biggest initial challenge making sure the trucks can run the route without having to stop to recharge during the day, as well as developing procedures for checking that a truck is properly plugged in and charging when done with the route, so that it is fully charged before the next route begins. The engine compartment on this Peterbilt electric Model 579 demonstrator truck is taken up with a sophisticated electrical power management system instead of a conventional diesel engine. At the end of the day, the race to get a viable electric truck to market that doesn’t have to come back to home base for charging every night boils down to battery technology and infrastructure. The first aspect of this challenge is progressing rapidly. The second, however, is hardly moving forward at all. On the battery front, Hyliion’s Healy explains that lithium ion batteries are commonly used in electric vehicles because of how much energy they can store, as well as the rate at which they charge and discharge. This makes them preferable to lead acid batteries, which are not designed for high discharge and charge rates. Battery issues are a concern whether you’re talking about a hybrid like Hyliion’s or a full battery-electric vehicle. But for the latter, what about finding a charge when a truck is way from its base? That’s more problematic. “The infrastructure issue is another area where we think it benefits us to be focused on commercial vehicles instead of passenger cars,” Thor’s Sordoni says. Sordoni says Thor is actively working with state, local and the federal governments on infrastructure issues for electric trucks, but admits progress is slow. That said, he says Thor has a different outlook on charging commercial vehicles than most of his competitors and industry observers. “We don’t think fast charging — a 10- to 15-minute ‘topping off’ — is going to be relevant or particularly useful for trucks,” he says. As with any emerging technology, there are going to be adjustments that fleets have to make, says Roy Horton, director of product strategy at Mack Trucks, who notes that electric trucks have far fewer moving parts than diesel ones, and are much quieter to operate. Electric trucks won’t be a fit for all North American fleets. But electric truck developers are increasingly confident they have a solution that will quickly be able to stand on its own merits and earn its own spot in today’s rapidly changing transportation sector.